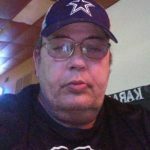 Jerry Don Manasco, age 62 of Granbury, Texas, passed away Tuesday April 09, 2019. Service: 3:00 P.M. Thursday April 18, 2019; Holly Hills Cemetery. Jerry was born July 19, 1956 in Fort Worth, Texas to Ruby Lee Stewart and Jesse D. Manasco. Jerry married the love of his life, Donna V. Shockler, in 1980. He was a loving husband, father and grandfather. Jerry was a member of the Masonic Lodge; Moslah Shriners and he was also a Mountie. He was preceded in death by his parents: Ruby and Jesse Manasco. He is survived by his wife: Donna V Manasco; daughter: Stephanie Ward; numerous grandchildren; siblings: Sharon Henderson, Donna Lee Fuller, Ricky Manaso and wife Pam; numerous nieces and nephews. Be the first to share a memory of Jerry .